Queen Kapi‘olani Hotel, located at the Diamond Head end of Waikīkī, announced its first special for Hawai‘i golfers. After recently completing more than $5 million in renovation and upgrades, Queen Kapi‘olani Hotel is excited to offer newly refreshed rooms to kama‘āina for a reasonably-priced vacation package which also includes a round of golf. Rates start at $131 per night for weekdays and $151 for weekends for a city view room with a 2-night minimum stay. The package includes 18-holes of play at the ‘Ewa Beach Golf Club for 2 persons and golf cart rental. Tee time is arranged prior to arrival. Additional tee times can also be added after check-in. ‘Ewa Beach Golf Club is an award-winning Robin Nelson Designed golf course which first opened in 1992. The links layout is created out of a Kiawe Forrest. Tree lined fairways put a premium on driving accuracy. The addition of fairway bunkers and water hazards make ‘Ewa Beach Golf Club a challenging experience. Queen Kapi‘olani’s O‘ahu Room & Golf package is valid for reservations booked for stays now until December 31, 2011. Rate quoted is based on best available rates, single or double occupancy plus taxes and one round of golf at ‘Ewa Beach Golf Club and cannot be combined with any other offer or promotion. Full, non-refundable, prepayment is required. A valid Hawai‘i ID will be required upon check-in. For reservations, see your preferred travel agent; visit Aqua online at www.aquaresorts.com or www.queenkapiolani.com; or call Aqua at 809-924-6543 or toll free at 1-866-406-2782. Following are recently taken photos of the newly-renovated hotel. Aqua Hotels & Resorts has unveiled a new package at Park Shore Waikiki targeting families traveling to Waikiki. At $119 per night for an ocean view room plus our added value family amenities, it’s an excellent price for a beachside hotel that’s within walking distance to many family attractions. Park Shore Waikiki’s new Waikiki Ocean Family Promotion is based on availability and offered now through March 31, 2010. 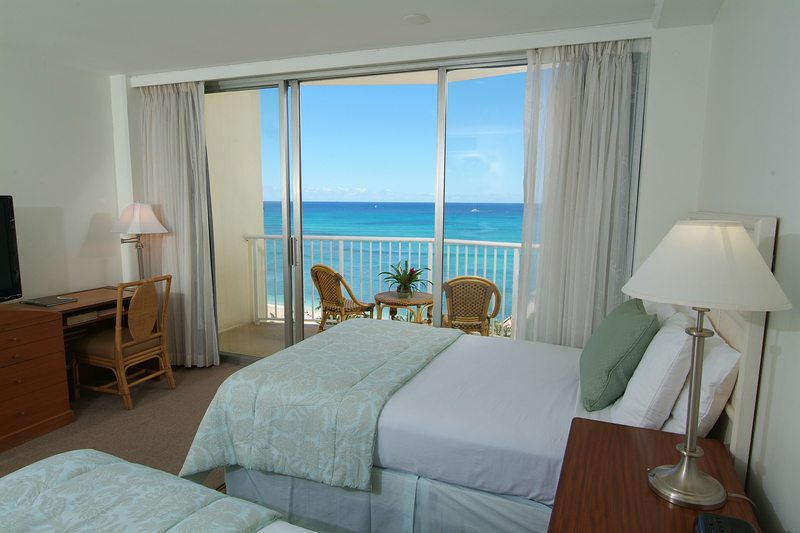 The promotion requires a minimum 2-night stay in an ocean view room with full prepayment. It is valid for new bookings only and cannot be combined with any other offer. If you are not familiar with the hotel, Park Shore Waikiki enjoys a premier location – ideally situated across from Waikiki Beach, Honolulu Zoo and in easy walking distance to Kapiolani Park, Waikiki Shell and Waikiki Aquarium. This non-smoking hotel features two restaurants: Lulu’s Waikiki Surf Club – open air dining room with retro-surf atmosphere and panoramic views serving American fare and Yoshitsune – serving Japanese cuisine and offering a sushi counter. There is also a Starbucks®, Hans Hedeman Surf School, valet parking, concierge services and complimentary WiFi in the lobby and on the second floor. The 226-guest rooms have private lanais with many offering postcard views of the Pacific Ocean and Diamond Head. 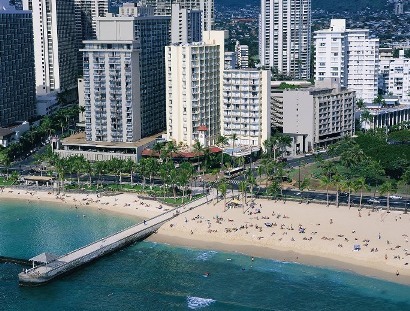 Park Shore Waikiki is managed by Aqua Hotels & Resorts.